Society is an ensemble of different kinds of hierarchies that intermingle and assist one another. Above them all in the temporal sphere is that majestic perfect society called the State. Every organic society is composed of many intermediary groups that participate, each in its own way, in the power of the State. 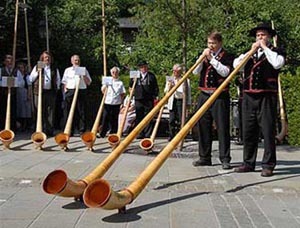 Let us imagine, for example, that in a certain region of Tyrol the inhabitants have a strong penchant to whistle. 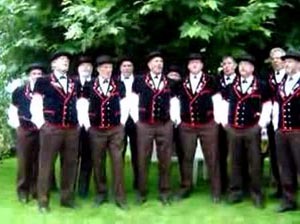 There are groups and choirs of whistlers that go far back in their tradition. Each of these groups developed a way of whistling that it claims is the most perfect, and local competitions are held. From this custom came whistling tournaments that attract tourists from all over the country. Before long, hotels were built to accommodate those tourists. Now, it so happens that the region also has a beautiful lake with large quantities of carp. So, the hotels began to rent fishing boats to their guests, and the pleasure of carp-fishing also became a regional attraction. Shortly, restaurants of the area offered their special carp dishes and their own ways of serving them. At a certain time, someone in that area discovered a mode of whistling using a small wood whistle that was considered by some as more perfect than mouth-whistling. This gave rise to different schools that disputed whether the old way or the new method was better. Regional artisans began to make a small whistle with a unique wood found only in a forest in the vicinity. 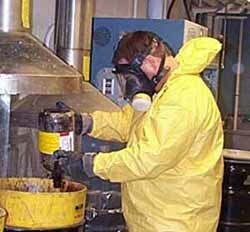 They carefully crafted the object, which came to be known for its golden background painted with colorful flowers common to the area and coated with a layer of varnish. A guild of whistle-makers was formed and dedicated to Saint X, who centuries ago used to whistle to call the children who were lost in the forest. He also founded a hospital for children that through the ages became the most famous Children’s Hospital of the country. The whistle tournaments drew the attention of university scholars in a nearby city, who traveled to the region to study its cultural heritage. The results were so interesting that a new section in the Department of Sociology was opened specifically to do more research on the topic. One sees, therefore, that innumerable groups of whistlers, choirs, hotels, restaurants, artisan shops, guilds, hospitals and university departments could be born from that simple joyful custom of whistling in that particular region of Tyrol. All these institutions are what we call intermediary societies between the family and the State. They all intermingle and indirectly influence in a cultural way the course of the government of their villages. Let us point out here that the custom of whistling in this imaginary region was born naturally. This kind of development would represent the State interference of technicians and bureaucrats and produce an artificial society with tyrannical laws, taxes, etc. In this inorganic system, a whistle teacher would have to take a test approved by the city Department of Acoustics, and the pupils would need to have a medical examination to be sure they had no inclination to develop cancer in their lips or cheeks. The whistle shops would also need a certificate issued by a special socialist government organ verifying that the wood was not from a species of tree on the extinction list of the Environmental Department, and that the vibration level of the whistle was outside the range that could harm the ears of sleeping bats. These socialist demands – to which we have all become accustomed in our revolutionary countries – signify the opposite of a healthy society. What I maintain is that the organic development of a region, with its healthy cultural and artistic characteristics, will naturally influence the government of its villages, cities and county. In brief, the people will participate organically in the government of the State. The formation parents give to children also has an indirect participation in the State government – much greater than one would think at first sight. If many parents give a liberal formation to their children, sooner or later the entire kingdom will be sliding toward liberalism. The King cannot intervene to decree what kind of doll a mother gives her daughter; notwithstanding, if the doll favors liberalism, the girl will follow suit. This vigilance in small things cannot rely on the State. The parents must exercise it based on good sense, Catholic principles and the grace of the Holy Ghost that they should ask for. The family is called the celula mater [mother cell] of society for precisely this reason: the way it forms the children will influence the whole society of tomorrow. It is the King in the State and the father in the home who shape the future society, and both should do the best that they can. But many times, the most important things that will shape the future are the small choices a father makes inside his household. Frequently they determine how the State will advance more profoundly than the general decisions of the King.